The lad was bored. MOM! Do you have a water science experiment? So I did a quick google search and came up with this one. Bending water. The lad thought this was cool. And I have to admit, it was neat to see the water bend around the comb. He then did some experiments on his own with a knife, a water bottle and some determination. At one point I was helping him and my finger got stuck in the bottle. He thought that hilarous but then needed to do some thinking about WHY it got stuck. He came up with some good reasoning. The lad has a cold. We'll be spending the bulk of the day at home. 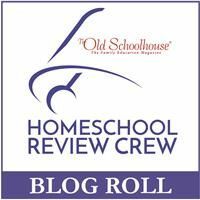 We're going to start doing a few new things in our homeschooling journey this week. I've organized regular you must do stuff for him in folders. We'll continue daily reading, and I"m going to add a bible and music component to our day. I'm hopeful to get everything into our folders just to make it easier to accomplish some tasks. I'm finding since I'm currently often not feeling well that having some assistance in schooling to be a useful thing. We're going to start with a FOUNDATIONS bible study course. I've written up about it on my other blog, Fish and Cans, and I don't feel a huge need to duplicate those efforts. So GO HERE to read about it. His copy sheet for the first week is found here. today we learned about African explorers. Most of the reading was about Dr. Livingstone. This lead me to this page at Practical Pages. I downloaded a page on David Livingstone. Simple Schooling has a gingerbread unit study. We continue to work on our globe. Today we added mountains and the snow caps. This was a combined effort since our white paint was being uncooperative today (seemed too thin). We went to this site called Mountains of the World for inspiration. we started reading from another book on Canada. We practiced saying the Canadian provinces and territories, we learned about the capital cities and about the great lakes. We read from our normal books today. Most of the stories today were short. In history we learned about Captain Cook. The lad practiced with Xtramath. Also did some math worksheets. Worked on addition and subtraction and word problems. There is a cost to it, so while it's free (for a while) I'll be using it to add to what we are learning. There is a video component, but I haven't figured out how or even if I can use that with the free trial. we watched some videos. In the one below he used our small globe to point to some of the things the man was talking about. He didn't understand "key" until we watched the second video. the lad enjoyed following the instructions in this video. We started off the day with an impromptu math lesson. I was looking at a program on-line about doing up timelines. It looked good until I started adding it up and I mentioned that to the lad. He said..but mom.. it's only $11. And I said yes...this part IS only $11 but look at what it will add up to if you like the whole program. We ended up at $309 not including taxes or shipping. Then the lad got inspired and said look mom, see how much it will cost if you did a class. So we got in a small lesson on doing multiplication as well. He was quite surprised by it all. he also worked on XtraMath. Every night the lad and I read a book before bed. last night I gave him a book and asked him to read it while I finished my supper. He read MOST of it by himself. he continues to struggle with some sight words, but overall he is learning to read okay. He has a goal in mind of earning a book called "Bad Kitty" (he love the series). He is getting mighty close to getting it. It's very cool to watch him gaining some confidence though he thinks he fails if he can't read ALL the words (even if some of them are tough). The lad had fun watching some of the videos over at the Human Body Detectives Site this morning. we are preparing to do a worksheet that I made up of for the First Nations people of Canada. To that end we spent a good deal of time learning about them over at this site called Canada's First People. This afternoon the lad has swimming lessons at the Y in Stratford with the HOPE group. Museum London does a quarterly art program for students. Yesterday the children built a castle. It was not the most organized event but the children achieved their objective...they built a castle cooperatively. I will upload pictures later. E-Tap is a e teaching assistance program. So it's designed to help you teach your student. eTAP gives you K-12 Math, English, Science, and History, as well as SAT/GED/ASVAB test preparation, all on a single easy-to-use website! Most of the reviews are for their highschool curriculum and I didn't really look that over since my son isn't in highschool (nor close to it). They offer a 10 day trial and are easy about extending it if the need is there. Today the lad painted his earth. All the continents have been put into place. It's not a totally accurate representation which he's not pleased about, but since mom drew the basic outlines he's more or less okay with it (as then it's MY fault that it's not totally accurate). Silly lad he is. We also got to page 7 in the continents and oceans study from The Simple Homeschool. This can be found on Currclick for 99 cents right now. Don't know how long the sale lasts. The lad did good work this morning on XtraMath. He continues to add to his chart all the math he knows in three seconds (basically instant recall) and the math that he knows within 10 seconds. It is good to see. We plan to do some reading today yet, but are needing to accommodate dad and his sore need and the ability to get around the house on crutches. We'll read from the normal four books we have. The lad helped to make Canadian Fluffy Pancakes this morning. :) Then we ate them for breakfast. The lad needed to listen carefully to instructions, he needed to both watch and do. We went to Cartoon Online this morning where we watched the Magic School Bus episode three, where they learned about how the body fights off disease. The lad was quite intrigued. The lad started off his homeschooling day working on XtraMath. He seems to have gotten some more confidence overnight and enjoyed doing the exercises this morning. he was like Mom LOOK! I have more green!!! and look at all my smiles! We are continuing to read the story of Peter Rabbit and Jenny Wren. With this book we can also learn about some the animals in the story by going to the burgess bird book companion. we found these resources through Satori Smiles. reading about the birds and how their tails went up in the air inspired the lad to draw some creative versions of birds and their tails. Through that I was able to talk to him about some of the different types of tails birds have. From the long tails of the quetzel to the short tails of sparrows and so on. This afternoon we are off to London to go see the show Water Under the Bridge. Water under the bridge was a whole lot of fun. It was based on the War of 1812. It had children from the audience participating. The lad got to have a hand in it as well. So the story was inspired by a town which had the border run through it, and chose NOT to fight in the was as it would mean fighting family and friends. Full of laughter and moments of sadness. It was a great play to take children too and I would heartily recommend folks checking them out. Done by the carousel players. You can go here to check out some of the scenes in video. It's rather neat, they even give study guides! A mom mentioned this to me at swimming today. And I said...ooh... I wonder if that book is on-line at all, and she asked if I found if I could let her know. SO I did! I found it. woot woot! here it is: The wonder book of chemistry.